Professional concrete contractors aim to meet present day sustainability requirements for housing, working environments and infrastructure without compromising the needs of future generations. 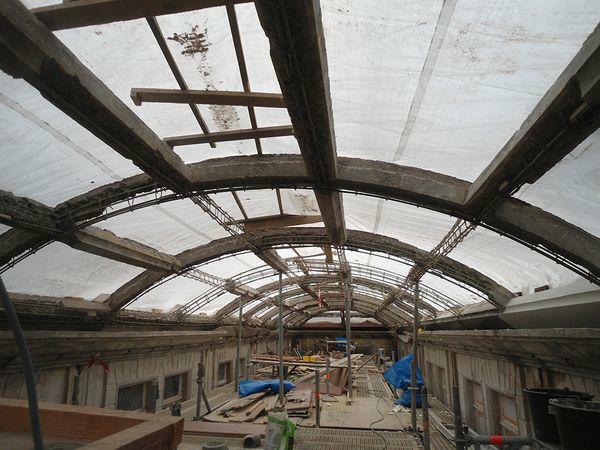 It places a significant responsibility on owners, designers and engineers to conserve resources by refurbishing and restoring existing structures whenever possible. Ideally, demolition and building new structures is only considered when an existing structure’s condition has become “fatal” - physically and financially impossible to resuscitate. When you consider that for the first time in human history over half of the world’s population now lives in urban environments, the concept of sustainable construction is no longer just a “good idea.” With urban populations swelling around the world, there’s an urgent need to optimize the sustainable performance of the built environment we live and work in and move toward a more sustainable construction standard. David Whitmore is a Professional Engineer and President of Vector Corrosion Technologies, a company that specializes in methods of repair and corrosion protection of reinforced concrete structures. He is a member of ICRI Committee 160, Sustainability; 510, Corrosion; and the Technical Activities Committee (TAC). Whitmore is also an active member of the American Concrete Institute (ACI). He can be reached at davidw@vector-corrosion.com or (204) 489-9611. Human-built structures such as buildings, parking facilities, transportation grids, and so forth, have a significant impact on our environment. In terms of sustainable development – practical, effective and sound environmental management of our built environment is more demanding than ever. Considering around 50% of the global population lives in cities, they account for more than 75% of the consumption of non-renewable resources. These numbers are pushed higher when you factor in the environmental consequences of new construction projects. According to the World Economic Forum, the construction industry is the single largest global consumer of resources and raw materials (almost 50% of the total). Up to 40% of solid waste is derived from construction and demolition activities alone. Imagine the enormous accumulations of waste and the consumption of natural resources if we simply knocked down every existing structure after only a decade or more to make way for a range of bigger, better, sleeker new buildings built using all new materials and resources? Alternatively, if 10,000 cubic yards of concrete is preserved, it avoids the release of over 9,000 pounds of nitrous oxides and 5,500 tons of carbon dioxide, which is equivalent to annual emissions of about 1,250 people. Preservation of 10,000 cubic yards of concrete conserves over 19,000 tons of natural resources that would otherwise be used to produce aggregate, cement, and steel. It also saves enough potable water to fulfill the daily needs of 2,500 people, prevents over 20,000 tons of rubble from being sent to a landfill and prevents the release of enough heat to boil 30 Olympic-sized swimming pools. These numbers add up to one truth - preserving or reusing existing infrastructure is the preferred sustainable solution for facility managers to accept and implement. Preservation and rehabilitation play a key role in most successful bridge management programs in the United States, primarily due to limited funds and increased competition for funds between highway assets. This challenges bridge owners to cost-effectively preserve and maintain their bridges to support overall mobility and service commitments to the public. When faced with the inefficient and cost-prohibitive constraints of traditional replacement practices, long-term maintenance and sustainability have become an integral component of asset management and bridge preservation program. 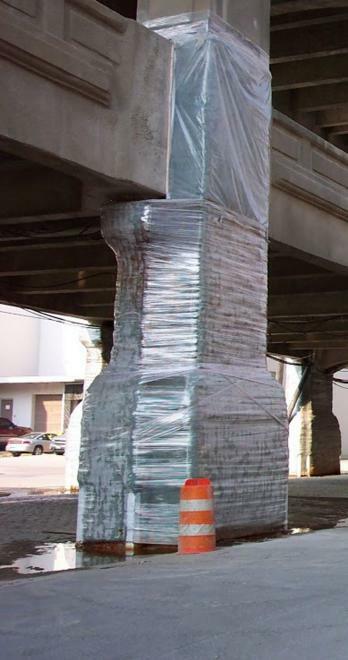 A bridge preservation program consists of performing cost-effective Preventative Maintenance (PM) activities that prolong service life and delay the need for rehabilitation or replacement. Sound PM activities are effective when it comes to extending the service life of bridges in good or fair condition, and delays the need for costly replacement or rehabilitation. Bridge preservation actions are either cyclical or conditioned-based. Cyclical activities like routine cleaning and washing slows the onset and need for condition-based actions, such as repair or replacement commonly required for bridges in poor or severe conditions. Cyclical bridge maintenance to coatings or deck surfaces protect steel beams and deck elements that will require more costly repairs if they are ignored or neglected over a long period of time. A structure in need of condition-based maintenance, however, is not automatically fatal. If the deterioration is corrosion-induced such as structures subject to de-icing salts or seawater, in most situations, the “patient” can be nursed back to health using quality concrete repair methods in conjunction with preservation technologies such as cathodic protection, chloride extraction, and re-alkalization. The terms “avoidance” and “immunity” are also commonly associated with sustainable construction concepts. ‘Avoidance’ implies actions and processes designed to prevent the structure from being exposed to harmful substances that will lead to deterioration, such as salt water or de-icing salts. Avoidance is a good strategy for the substructure of a bridge in a de-icing salt environment. If the structure is designed such that joints are eliminated or are placed away from the peer, the substructure below will be protected from leaking joints. This would effectively limit exposure of the substructure to salt water and will extend the life of the structure. If you can’t avoid the problem, then “immunity” is the better option. An immune structure has been built to withstand the harmful effects of exposure. For example, deterioration of a bridge deck exposed to de-icing salts is due to the fact that the salt eventually gets to the steel and causes corrosion. Replacing reinforcing steel with stainless steel or glass fiber rebar will eliminate the corrosion problem and extend service life. Even though the bridge deck will become contaminated with salt over time the corrosion-resistant rebar will mitigate corrosion. Avoidance and Immunity strategies work for new construction but it’s a different story when it comes extending the service life of an existing structure. What if it’s already 50 years old and we want to make it last to be 100 years old or longer? This is where sustainability becomes more complicated. We can’t change all the pre-existing conditions that affect service life. It’s already built. We can’t change all the materials it was built with or change the effects of exposure. So how do we manage a structure to prevent it from getting a fatal prognosis and an appointment with a demolition crew? Contact us for a second opinion. 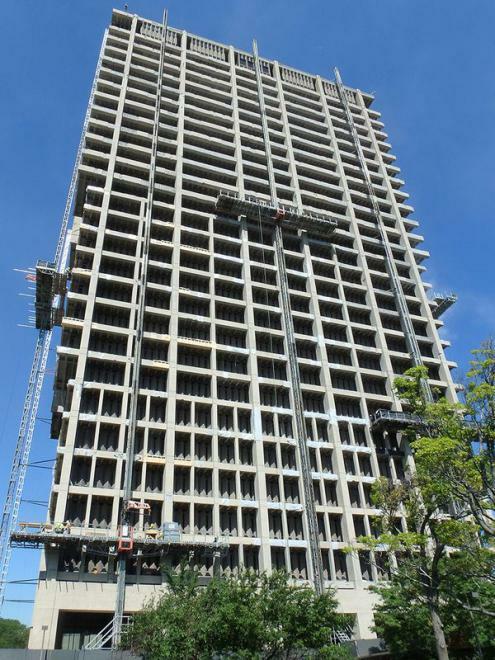 Fortunately, modern concrete preservation pioneers have developed a variety of cost-effective sustainability and preservation products and services that can take a terminally-ill structure off life support and give it a clean bill of health. Techniques covered in ICRI Technical Guidelines such as 310.1R-2008 - Surface Preparation for the Repair of Deteriorated Concrete and No. 510.1-213 - Guide for Electrochemical Techniques to Mitigate the Corrosion are effective because they give concrete professionals options to “treat” a structure so it can stay in service and doesn’t deteriorate to the point that it becomes unsafe or unusable. The Confederation Bridge opened in 1997, is a 12.9 kilometer (8.02 mile) long toll bridge that crosses ice-covered water connecting Prince Edward Island (PEI) with New Brunswick in Atlantic Canada. Several key sustainability considerations were made during the design stage and ultimately incorporated into the construction. To minimize ice forces and facilitate the impact of ice in the strait, the bridge is designed and built on 44 massive gravity piers. The piers are spaced to meet environmental requirements with minimal disruption to the strait floor. Most of the bridge was designed to sit 40 meters (131 feet) above the water to accommodate ship traffic, and the entire structure was prefabricated on shore to allow year-round construction. One of the most important structural elements of the bridge is hidden. Extremely durable high-performance concrete and reinforcing steel were used throughout construction of the pre-cast components and post-tensioning was used to tie the pier bases, shafts, and girders together into one solid, continuous structure that is designed to last 100 years. That’s right – 100 years. This is approximately two-times the average lifespan for a bridge. This is a monumental achievement, but the designers and engineers pulled it off. The Confederation Bridge is designed to last until 2097. The Confederation Bridge is a great case study of a truly successful public-private partnership and sustainable construction. It cost $840-million to build and was financed entirely by the private sector using revenue from tolls, the former ferry subsidy. After 20 years, the bridge looks like new and remains a testament to engineering ingenuity. Despite many improvements to design and maintenance technology intended to lengthen and improve the service life of new and existing structures, the construction industry still has a long way to go. Highways and roads — 28.2 years. Bridges and overpasses — 43.3 years. Water supply systems — 36.8 years. Wastewater treatment facilities — 28.2 years. Sanitary and storm sewers — 33.6 years. As a society we need to do a better job at addressing our infrastructure problems. About 28% of our infrastructure is more than 80 years old and in serious need of attention. The Canadian Federation of Municipalities released a report that concluded that the three levels of government must spend $123 billion to fix infrastructure to avoid collapse. In the United States, the most recent federal estimate puts the backlog of rehabilitation projects for the nation's bridges at $123 billion. New technologies and materials are available to help engineers build more durable structures. Maintenance and rehabilitation techniques are available to extend the service life of existing structures. This is good news for communities and citizens all over the world. By focusing on and addressing sustainability challenges today we can create a more sustainable tomorrow. World Economic Forum, Shaping the Future of Construction: A Breakthrough in Mindset and Technology, Environmental Relevance, May 2016, pg 11. ICRI Committee 310, Guide for Surface Preparation for the Repair of Deteriorated Concrete Resulting from Reinforcing Steel Corrosion (ICRI 310.1R-2008), International Concrete Repair Institute, St. Paul, MN, 8 pp. ICRI Committee 510, Guide for Electrochemical Techniques to Mitigate the Corrosion of Steel for Reinforced Concrete Structures (510.1-2013), International Concrete Repair Institute, St. Paul, MN, 24 pp. Canadian Infrastructure Report Card, Volume 1: 2012 Municipal Roads and Water Systems, pg 31. This article was originally published in Concrete Repair Bulletin, July/August 2018. The article is available online at www.icri.org.